Following in the footsteps of Scooby-Doo and Alvin And The Chipmunks, everyone’s favorite picnic stealing park animal, Yogi Bear is now headed to the big screen courtesy of Warner Bros Pictures. Just like in those films, Yogi will be a CGI character in a live-action setting. I was never a big fan of the original cartoon which ran in 1961 and I found watching the episode above quite an unfunny experience. Still I wasn’t a big fan of the Scooby-Doo cartoons either but the movie was surprisingly entertaining (the first one that is). 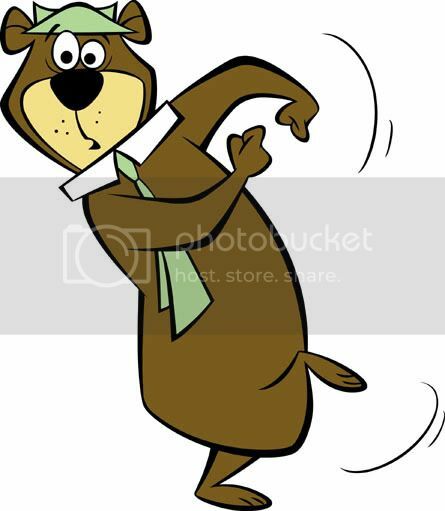 What do you think of a Yogi Bear movie? This entry was posted in American Films, Movies Based On Cartoons, Videos and tagged Alvin And The Chipmunks, Scooby-Doo, Warner Bros Pictures, Yogi Bear by Mr Hollywood. Bookmark the permalink. OK, “The Flintstones” was its previous offering and it featured puppets and pixels and people! This is not Yogi’s first time on the silver screen this is his second time because his first film was in 1964. I hope his second movie goes well.